Laser Aesthetics is excited to offer mole removal, skin tag removal, wart and keratosis removal services by Dr. McDonald to our Grimsby clients, from our Hamilton clinic. These treatments are quick and easy to have performed. You can book now and avoid the long waiting periods, which are usually associated with having these services done. Grimsby clients, click here to book an appointment with Dr. McDonald. Skin growths do occur normally. Some are safe and can be removed, while others could be potentially dangerous! That's why, an appointment with a local Grimsby dermatologist, or a skin care specialist, is always recommended and necessary to figure out the best and safest treatment options, should you choose to have your skin growth removed. Dr. McDonald, at Laser Aesthetics, has extensive knowledge and expertise when dealing with problems of the skin. Make your appointment with her today to discuss your unique situation and solutions. Please, DO NOT remove moles by yourself, or at a salon or spa. The outcomes can be really dangerous. Only a medically trained skin specialist should be removing moles, in a safe and controlled environment. 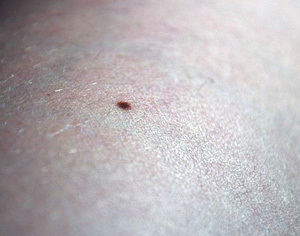 Moles (Nevi) are a common type of growth on the skin. 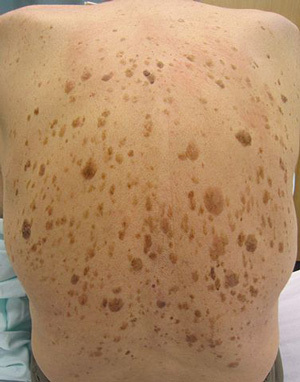 They often appear as small, dark brown spots and are caused by clusters of pigmented cells. 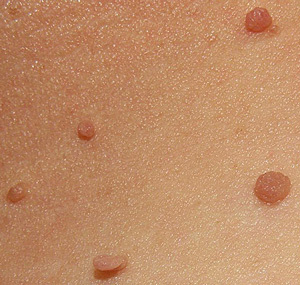 Moles generally appear during childhood and adolescence. Most people have 10 to 45 moles, almost all of which appear before age 40. Some moles may fade or disappear as you age. Granny warts (Seborrheic keratosis) are one of the most common noncancerous skin growths in older adults. They usually appears as a brown, black or light tan growth on the face, chest, shoulders or back. If you touch them, they feel waxy, scaly and ave a slightly elevated appearance. Seborrheic keratoses don't become cancerous and aren't thought to be related to sun exposure, but they can look like skin cancer. Seborrheic keratoses are normally painless and require no treatment. You may decide to have them removed if they become irritated by clothing or for cosmetic reasons.